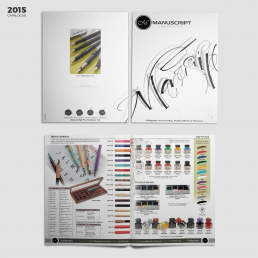 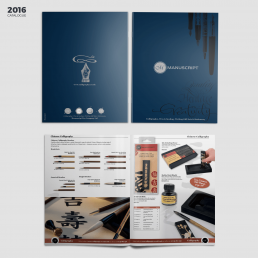 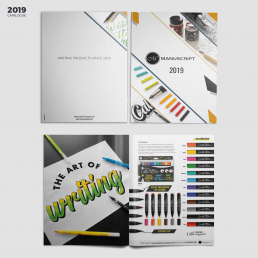 We worked closely with Manuscript’s marketing company to produce a visually appealing annual catalogue of their calligraphy pens and associated products. 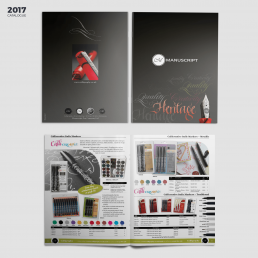 The project demanded close attention to detail in order to present the products in the most appealing way to buyers. 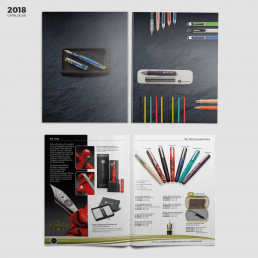 The final result was a range of visually stimulating catalogues which were supplied to stores like WHSmith and Hobbycraft to promote in-store sales of the pens and associated accessories.